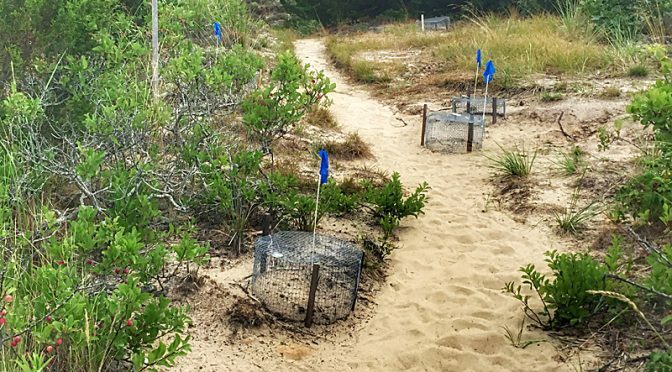 Lots Of Turtle Nests At The Wellfleet Bay Wildlife Sanctuary On Cape Cod! 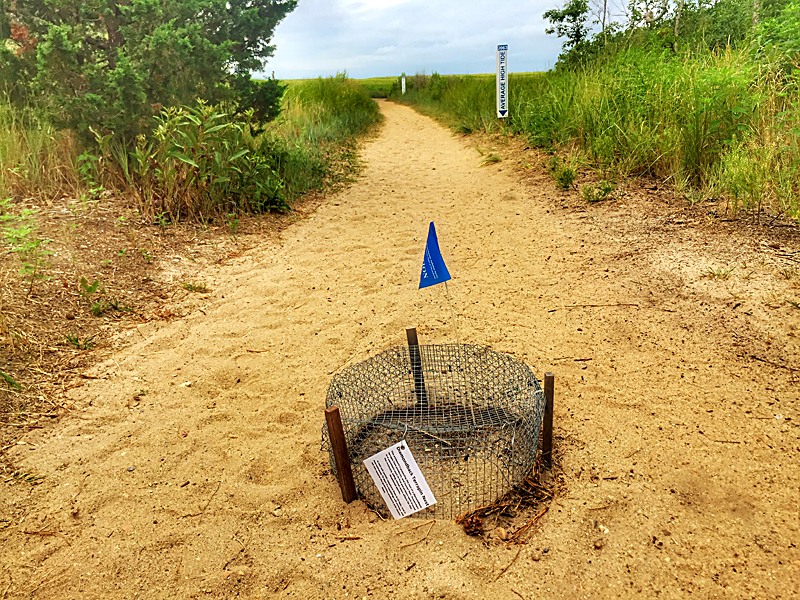 You can tell where the turtle nests are at the Wellfleet Bay Wildlife Sanctuary by the little cages around them and the blue flag. The species in each cage is also identified. I saw some Painted Turtle cages and some Diamondback Terrapin nests. It will be very interesting when the little ones hatch and try to make it back to the waters of Cape Cod Bay. I remember last year seeing some of them which the volunteers had collected to help them on their way and they were tiny, only about an inch. Have you seen the nest cages at the Sanctuary? Or anywhere else? Previous PostCan You See The Great Blue Heron In The Tree On Cape Cod?Next PostMussel Shells In My Wooded Yard On Cape Cod? The Sanctuary takes good care of turtles. But even with help, the babies will have such a long trek to get to the water! It makes me very happy to see these protective cages for the various turtle species. I absolutely love turtles and they are indeed worthy of our protection. I maintained a turtle pond outside my classroom and more learning took place there than inside. Thanks for sharing this with us, Mel! That is awesome! I bet the kids had a blast!